Brimming with juicy red and black forest fruits yet with a savoury twist of graphite, Ch. 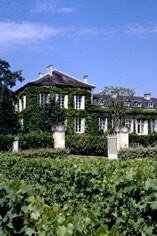 Talbot once again shows its quality in 2008. Full bodied and flavoursome, this displays ripe, firm tannins and refreshingly crunchy fruit on the finish. The Wine Advocate - The evolved, soft, silky 2008 Talbot is unquestionably a sleeper of the vintage, offering a dark plum/garnet color, loads of roasted herb, berry, black cherry, plum and Asian spice aromas intermixed with an attractive forest floor-like note. Already drinking well, this medium-bodied St.-Julien should continue to evolve for 10-15+ years. Parker - The evolved, soft, silky 2008 Talbot is unquestionably a sleeper of the vintage, offering a dark plum/garnet color, loads of roasted herb, berry, black cherry, plum and Asian spice aromas intermixed with an attractive forest floor-like note. Already drinking well, this medium-bodied St.-Julien should continue to evolve for 10-15+ years. 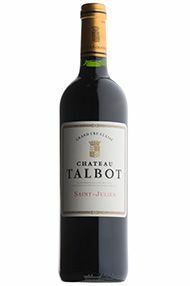 A forward, luscious wine that should turn out to be outstanding, Talbot's deep ruby/purple-colored 2008 offers plenty of roasted herb, berry fruit, coffee, and soil characteristics in its rich, layered, stunningly opulent and fleshy personality. While it still has plenty of tannin to shed, it is ripe and well-integrated. Give it 2-3 years of bottle age, and drink it over the next 20-25 years.